S 1/c J. B. Grimes, on of Mr. and Mrs. Jesse Grimes, Graham, attended Graham High. 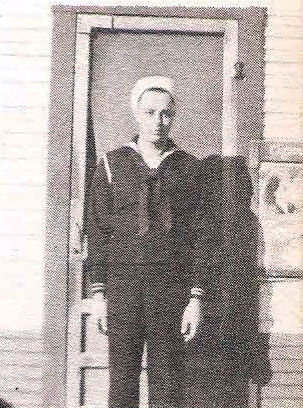 Entered Navy, 1942, trained at Great Lakes, Ill. Served aboard USS Texas and USS Canberra in Atlantic and Pacific. Awarded APO and GCM. Discarged in 1946.